The streets of the ancient suggestions, the churches of the saints, the palaces of the powerful and the Museum of the town history. There is an area in Bologna in which the palaces of the ancient town power and the symbols of the faith are situated one next to the other, to testify the two souls of the town: between the free Commune zone and the area under the Pope influence. This area is situated among via Santo Stefano, via Castiglione and piazza dei Tribunali. We are in the very heart of historic Bologna: under the torre Asinelli starts via Castiglione that, after few steps, stands beside piazza Della Mercanzia. The Palazzo della Mercanzia is the first symbol of the town government that can be seen: for over six centuries it controlled the rules of the trade in Bologna. It was built in 1384 under the direction of Antonio di Vincenzo and Lorenzo da Bagnomarino and during the centuries the nearby torre Dè Banchi partially collapsed up to the second world war, but it has always been restored. still the memorial stone walled up at the beginning of the 15th century to remember publicly the exemption from duties and other expenses in favour of the students of the Studio, the old name of the university. On the side of Santo Stefano, instead, after few meters, you can find an open space which is one of the most enchanting view in Bologna, with Palazzo Isolani on the left and other palaces of the town seignior on the right and opposite the church of Santo Stefano. Palazzo Isolani dates back to the half of the 15th century, built by Lapo Portigiani, Florentine from Fiesole, with a style of transition between the gothic and renaissance influences. The façade is divided in two well distinct horizontal orders, with rounded arches of the portico that are supported by the corinthian capitals of the columns. On the façade there is the Corte Isolani’s pedestrian passage that connects the palace with Casa Isolani in strada Maggiore. The Corte is an example of the bolognese medieval town planning, with covered passages that create a gallery where today there are shops, boutiques, restaurants and bars. complex of Santo Stefano that is part of the holy places of the pilgrimage that the bishop Petronio (5th century) wanted to celebrate in Bologna. The church in fact is situated on the side of Vicolo Gerusalemme and in the past it was called Sancta Jerusalem. At the 5th century original core other buildings were added, between the 10th and the 13th century: on the square there is on the right the chiesa del Crocifisso, in the middle the church of the Calvario and on the left the church of the first christian bolognese martyrs Vitale and Agricola. They hold precious works of art and celebrations of the faith like the reproduction of the Sepolcro di Cristo or the ancient shrines of the martyrized Saints. Attention should be given to the Cortile di Pilato with a marble washbowl given by the longboards in the 8th century, the chiesa della Trinità and the benedictine cloister, among the most important examples of emiliano romanesque, where there is also the museum with some very valuable pieces of various periods. Next to Santo Stefano we continue the celebration of the holy places of Jerusalem, with a small square at the end of a short rise where there is another symbolic building: the chiesa di San Giovanni in Monte the original building of the 5th century was restored in the 13th century and rebuilt in gothic style in the 15th century. The façade draws attention to the eagle, symbol of the evangelist John realized by Niccolò dell’Arca in 1481, and the interior with three naves shows the precious wooden altarpieces and the beautiful stained glass windows. From San Giovanni in Monte we can also come down in via Castiglione, not far from the jesuit ex-chiesa di Santa Lucia, that occupies the scene with its imposing façade: today it is the seat of the Aula Magna of the university. From there it is simple to reach piazza San Domenico where there is the church that holds the remains of the Saint founder of the dominican order. The building dates back to the death of Domenico di Guzmàn (1221) and it shows treasures of art, with works by Guercino, Ludovico Carracci, Filippino Lippi and others. The remains of San Domenico are held in a magnificent marble sarcophagus inside the chapel dedicated to him, with works by Guido Reni. The sarcophagus is enriched by sculptures by Nicola Pisano, important artist of the 13th century that left an important example of humanization art, that was still unknown in the middle age. During the years other works by Niccolò dell’Arca, Alfonso Lombardi, Jan Baptiste Boudard were added to the sarcophagus of San Domenico. Michelangelo also contributed with the angel bearing a candleholder on the right and the Saints Petronio and Procolo on the back. The carved wooden choir is another work of great value by Fra’ Damiano da Bergamo (Damiano Zambelli 1490-1549) it was already admired by his contemporaries that defined it as the eighth wonder in the world. In the square opposite the church there is Rolandino dè Passeggeri’s grave (1215-1300) one of the most important jurists of the middle age. Again in via Castiglione, coming back towards the Due Torri at the n. 8 there is Palazzo Pepoli, seat of the Museo della Storia di Bologna, from the etruscan Felsina up to our days. 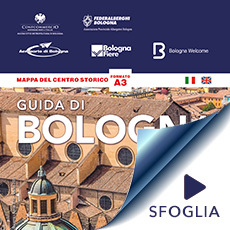 Through a series of thematic sections the past flows confirming the importance and the peculiarity of Bologna in the centuries, a history told with symbolic episodes and stories that show the society and its evolution in the centuries, the everyday life, the relation with the environment, in particular with the water of the numerous bolognese canals. Other important examples are Palazzo Pepoli Campogrande built in the 17th century opposite Palazzo Pepoli Vecchio where there is the Quadreria Zambeccari: paintings by masters from Emilia and Bologna like Ludovico Carracci, Francesco Albani, Guercino and others; and the Palazzo di Giustizia in piazza dei Tribunali designed by the great Palladio, Andrea Della Gondola (1508-1580). Also the chiesa di San Procolo in via D’Azeglio, 52 is worth to be visited; for the sarcophagus with the remains of Procolo, one of the first bolognese christian martyrs and for the art exhibited in its naves, with works by Lippo di Dalmasio and Bartolomeo Cesi. Going back to via Santo Stefano we reach very significant places: Casa Carducci, with the Museo del Risorgimento and the complex of the Baraccano. Piazza Carducci overlooking via Dante and the house museum is in full sight: the building with Carducci’s flat was bought by queen Margherita di Savoia in 1906 and given to the Town Council the year after when the poet died in order to keep its original condition and to immortalize the great literary man. Casa Carducci is on the first floor, with the daily life rooms, the objects and the memories of a life, and a framed fragment of Petrarca’s tunic. Carducci’s library contains about 40.000 pieces among volumes, magazines and essays. Beyond the great cultural spirit of the owner, the house offers also an example of a bourgeois house of the late 19th century. On the ground floor there is the Museo del Risorgimento an exhibition of the bolognese history that goes from Bonapartès occupation in 1796 to the end of the first world war in 1918. Risorgimento deeds can be seen here not so much in the heroic sense of the fight but in the social and cultural aspect with reference to Bologna. 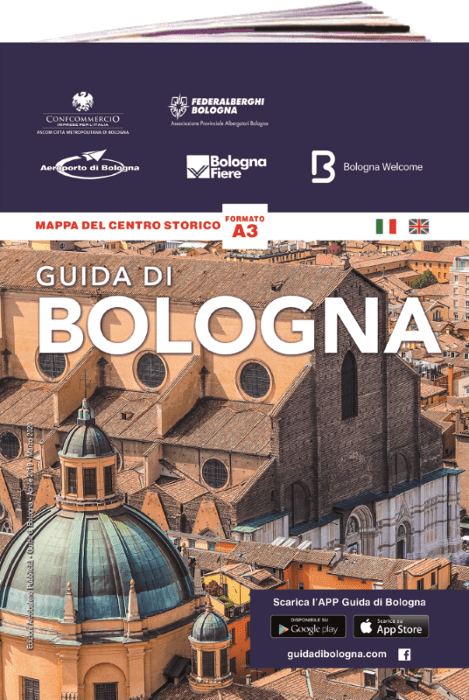 © Copyright 2013 all rights reserved – Discover Bologna – It may not be reproduced in whole or in part.